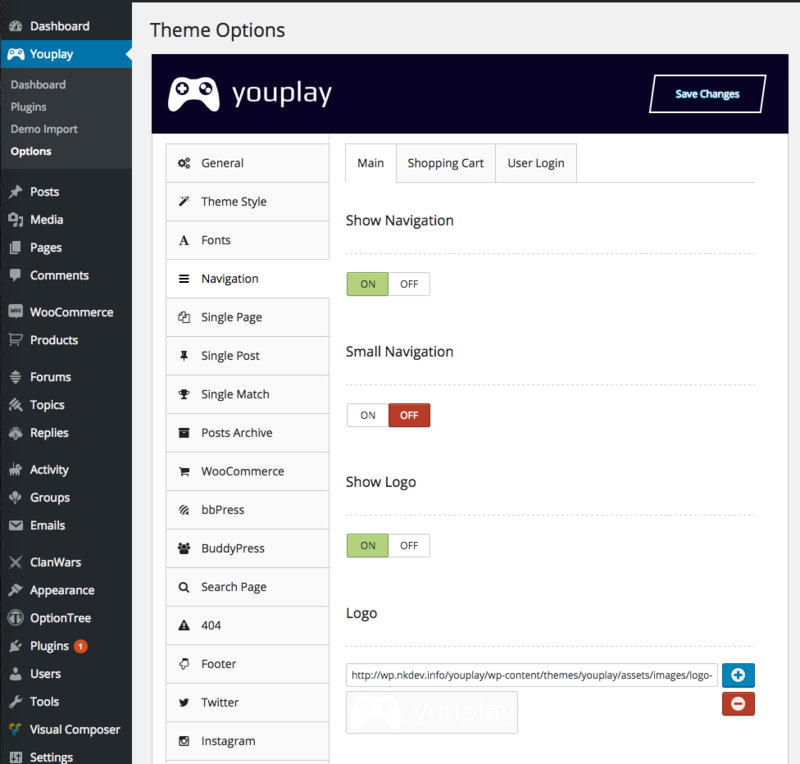 Navigate to Youplay → Options. 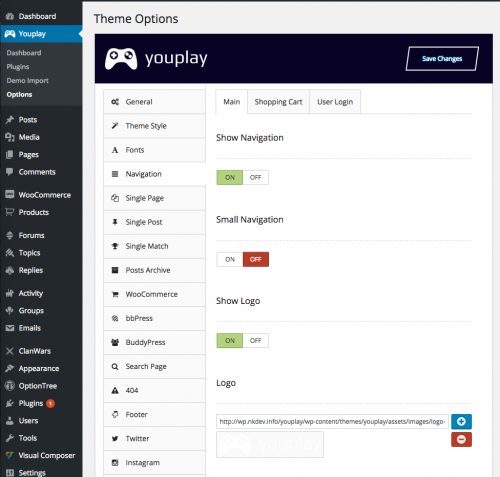 Here you have access to all the theme’s configuration settings. Each setting is commented and very straight-forward and should be easy to understand and configure.